Acclaimed author of biographical and historical fiction Irving Stone turns his magnificent talent to telling America’s most colorful and exciting story—the opening of the Far West. 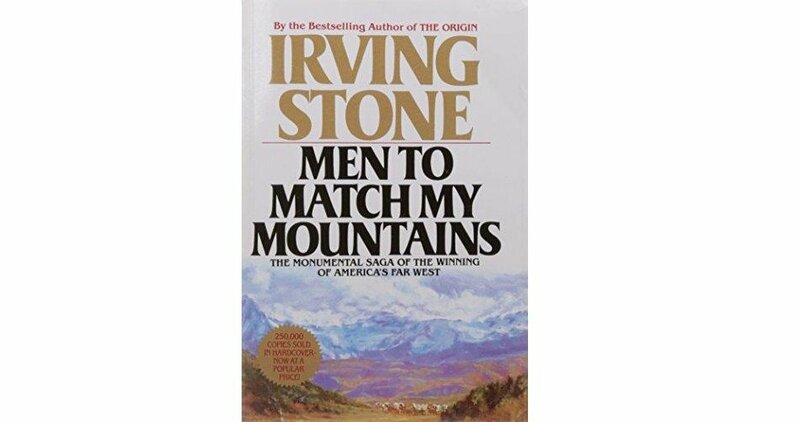 Men to Match My Mountains is a true historical masterpiece, an unforgettable pageant of giants—men like John Sutter, whose dream of paradise was shattered by the California Gold Rush; Brigham Young and the Mormons, who tamed the desert with Bible texts; and the silver kings and the miners, who developed Nevada’s Comstock Lode and settled the Rockies. America called for greatness...and got it. There is nothing in history to match the stories of these men who braved wilderness to bring new nation to the shores of the Pacific. This is a brand new, paperback book. Softcover, 576 pages.